Nigel Whitehead, BAE Systems chief technologist, has said he believes that directed energy weapons can be deployed aboard fighter aircraft in the not-too distant future, FlightGlobal reported Wednesday. Whitehead told reporters during his visit to Singapore that directed energy weapons should be able to beam energy precisely on one spot to disrupt targets such as aircraft, munitions or missiles. He added that the required precision can be achieved through beam direction, targeting and adapting to irregularities in the atmosphere. 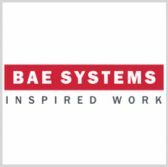 Whitehead noted that BAE is working to address the requirements of directed energy, such as power, accuracy and speed of response. Directed energy has potential uses for surface and air vehicles and can defeat targets including swarms of unmanned aircraft systems, Whitehead said.